A writer shadows Deirdre Heekin, proprietor of Vermont’s improbably great La Garagista Farm + Winery. 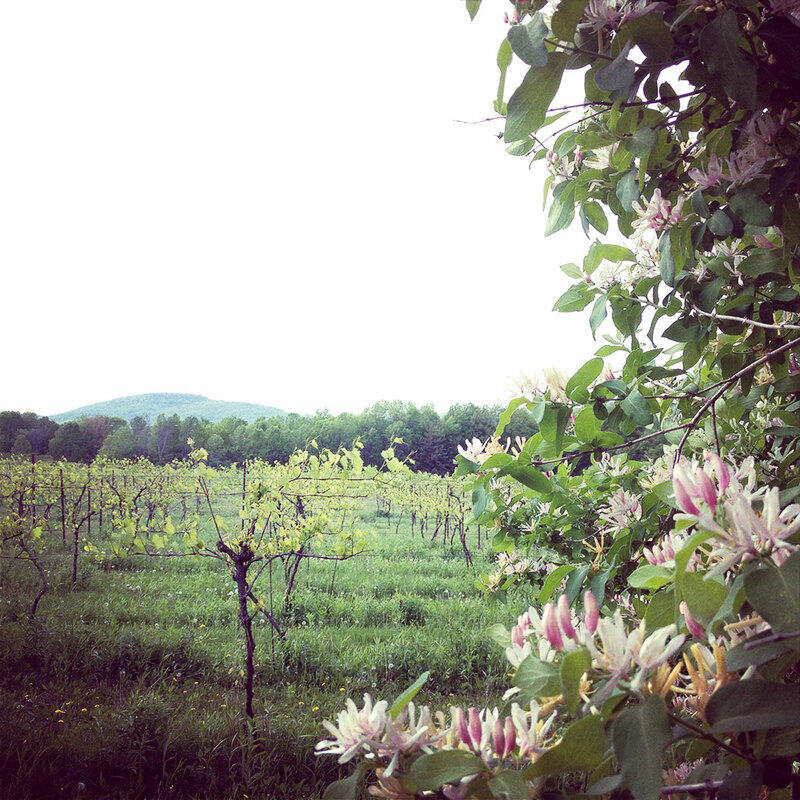 Beside a disused dairy farm in Vermont’s Champlain Valley, I’m shivering in a vineyard. Grasping a pair of pruning sheers I wonder how long it will take for my rapidly numbing hands to stop functioning altogether. It’s early April but the icy winds suggest January. I dare not complain, though. There are a dozen other pruners—mostly local volunteers—scattered amongst the rows of vines and they will brave these conditions for far longer.Vermonters are made of hardier stuff than I, I think, as my eyeballs freeze to their sockets and wet snow begins to blanket my head and shoulders. “This is triage,” says Deirdre Heekin as we snip. 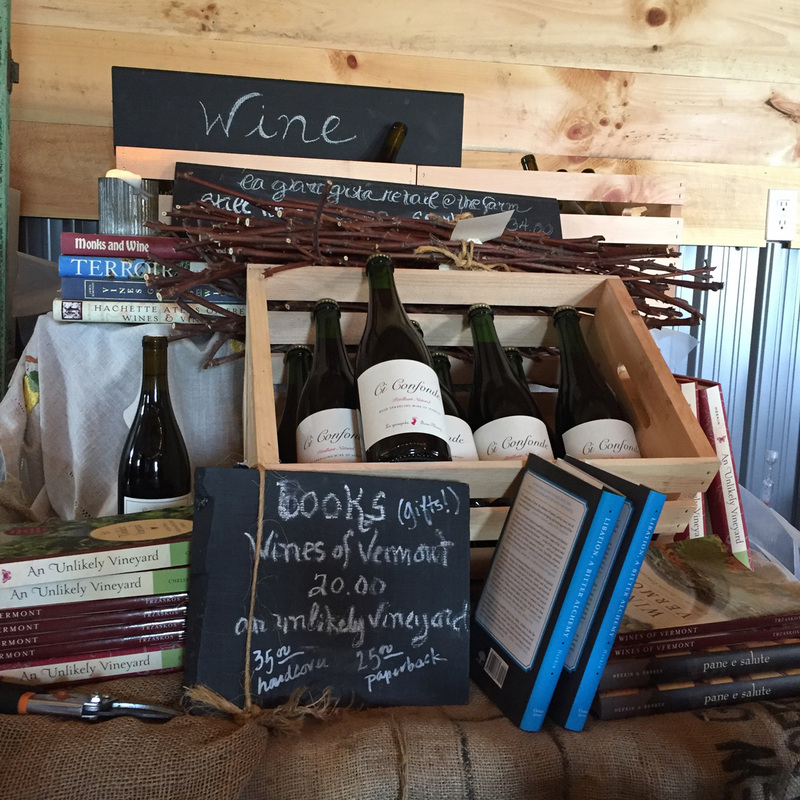 The vineyard, located outside the small city of Vergennes, is called Les Carouges, and Heekin is the person who has coaxed from it some of the most talked-about wines in both the U.S. and the U.K. 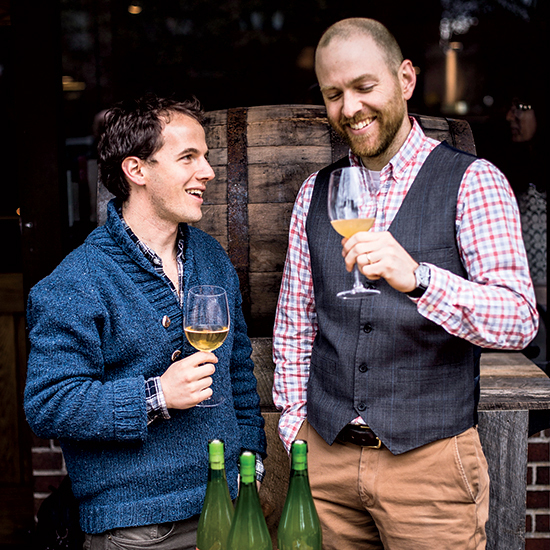 Despite the state’s craft beer and cider boom, wine has not found a foothold here. 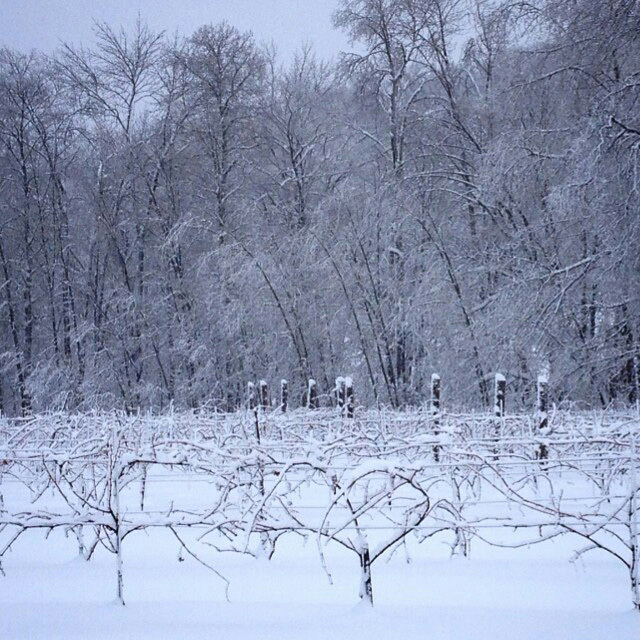 The reason is no mystery; Vermont is almost too cold to grow wine grapes. Well-known varieties of the European Vitis vinifera species like Cabernet Sauvignon and Chardonnay are out of the question—they simply won’t ripen. So, growers turn to hybrids, crossings of vinifera with native North American species. These grapes are cold-hardy, but the wines they produce are often dismissed as low-quality and overtly simple. Heekin has produced a series of spectacular exceptions. 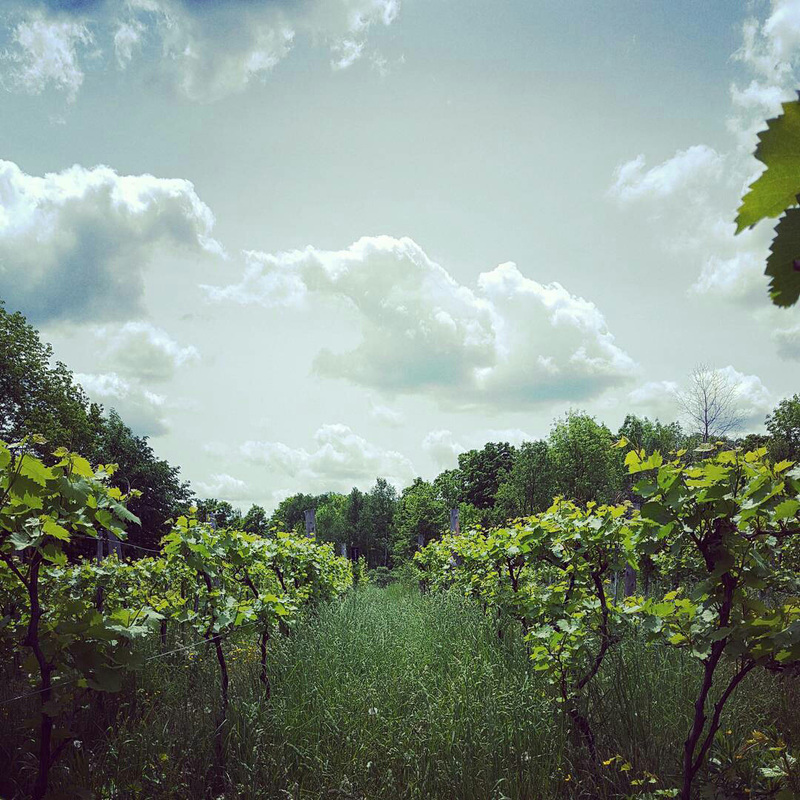 Among her plantings, the intensely herbal Frontenac Noir makes a wine called “Loups Garoux,” produced like an Italian Ripasso with grapes left to partly raison on the vine, offering up richness to balance the variety’s naturally searing acidity. There’s the slightly lighter Marquette, which makes the juicy, spicy “Dammejeanne”. Both reds transform in bottle if left open a few days, the acidity softening to reveal complex mountainous flavors. In contrast, the Brianna variety (whose complicated family tree includes Muscat of Alexandria) produces an ultra gluggable, ginger-and-wild flowers Petillant Naturel (natural sparkling wine) called “Ci Confonde", and a pretty, textured, and mineral still white, “Loup d’Or” (released this summer). But perhaps most thrilling of Heekin’s hybrids is La Crescent, a grape she often leaves in contact with its skins, resulting in wines that seem the liquid embodiment of alpine air, earth, and vegetation, with a flavor spectrum running from honeycomb and peach skins to stony minerals, wild mint, and marjoram depending on the vineyard site. Despite Vermont’s clean and green image, Heekin is the only commercial winemaker farming her grapes organically and biodynamically, and vinifying without commercial yeasts and other additivies. It’s a winemaking philosophy that has likely never been applied to hybrids in Vermont, yet Heekin suspects it’s the reason for her success. “I still get a lot of head scratching from people saying, ‘I don’t know how she’s doing it,'" Zuliani says. 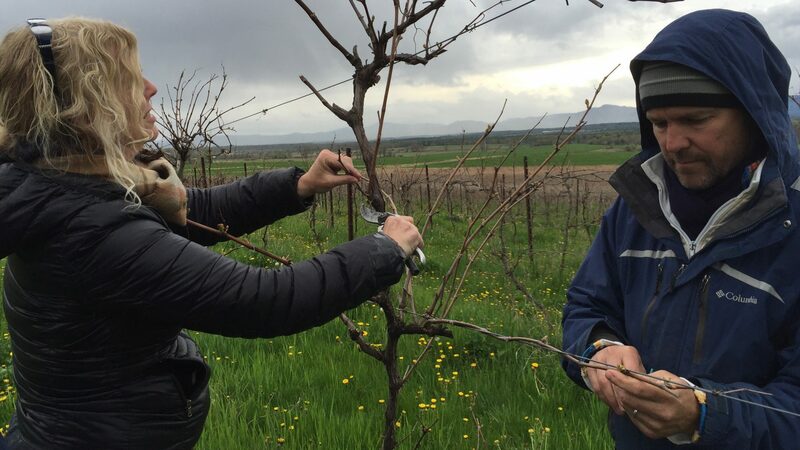 As my frozen fingers grapple with pruning sheers in Les Carouges vineyard, I start to wonder the same thing. I try to imagine what a winegrower from California might think of these growing conditions; The average winter temperatures in this part of Vermont are between 15 to 20 degrees fahrenheit. Compare that with the Mosel in Germany, considered one of the wine world’s coolest climate regions, where average winter temperatures fall within 35 to 40 degrees. Spring rains and summer heat can bring a plethora of pests and diseases, yet Heekin is unarmed with the usual arsenal of chemical remedies to combat them. Les Carouges has had a bad run, hence Heekin’s “triage” approach. Before she started leasing it in 2014, Heekin says it was hit with a “misguided program of chemical warfare.” The previous June, heavy rains damaged parts of the vineyard. Heekin and her small team know they won’t get much fruit this year, but they’re working to restore vine health for the future, rather than for immediate gratification. Later that evening, after thoroughly thawing out, I drive an hour and half up winding mountain roads of sheer ice to reach the La Garagista homestead. Perched below a crest of the ancient Green Mountains is a cabin that Heekin and her partner, Caleb Barber, have restored themselves, along with a winery and outbuildings that they built from the ground up. 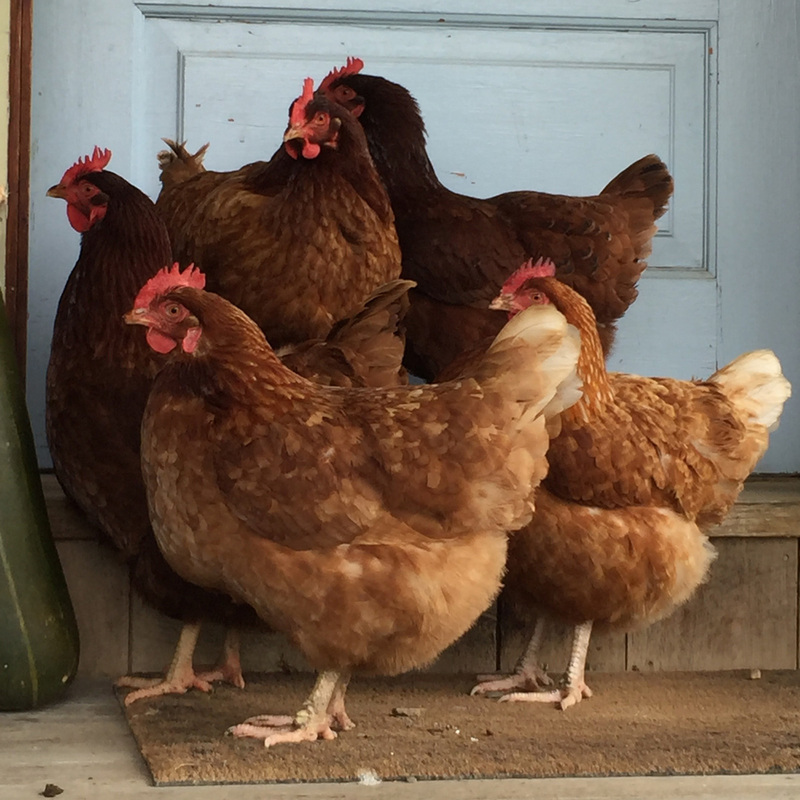 In the dying light I spot a handsome rooster named Mr. Darcy with his gaggle of hens strutting amongst the fruit trees, vegetable gardens and rows of vines. Across the street, a new vineyard is about to be planted. In the pint-sized kitchen, home-cured meats hang overhead; stacks of books about gardening, cooking, wine, Italy and Vermont overflow from shelves onto the floor; In another month, bouquets of spring wildflowers will spill from dozens of vessels big and small. “Most of my stories start with this notion, ‘I never imagined...,’ or ‘Twenty years ago, I never would have guessed’,” Heekin writes in her 2014 book, An Unlikely Vineyard. The Education of a Farmer and Her Quest for Terroir. Formerly modern dancers, Heekin and Barber found themselves living and performing in Italy in the 1990s. Upon returning to Vermont, they opened a small but extremely popular Italian-focused restaurant called Osteria Pane e Salute, where Barber would put his skills as a baker and chef to use in the kitchen, and Heekin would command the front of the house, honing her palate and sommelier skills. Already growing much of the produce for the restaurant in their home garden, the natural next step for Heekin was to plant a few vines and make a little wine in her bath tub, intended solely as house wine for the Osteria. The wine turned out to be magnificent. While she and Barber still run the osteria—which gets booked out weeks in advance—their focus is increasingly on the wine. The next morning, with rain threatening, we head out to the home vineyards to ready vine cuttings for planting next year. Heekin was planning to release single varietal bottlings from these vines this year, but a hail storm wiped out about half of her entire production, so this year she’s focusing on field blends from her hybrid grapes. “It feels like spring!” Heekin declares as a watery sun makes a brief appearance while we splash through mud to the winery. There we sample a pair of unfinished ciders made from apples grown on the homestead with a recipe she learned from an old Italian farmer. They’re strikingly vinous—tart and refreshing but complex and expressive of terroir, just like her wines. The rain that’s been threatening finally arrives, turning the unpaved mountain roads into a mud pit. I am immediately anxious at the thought of driving back down the mountain, but Vermont’s erratic springtime weather doesn’t phase Heekin. She is a wine farmer after all.